Today we reached new heights as an organization. Working with a Guatemalan nonprofit called Trauma Heroes Association, Bump was able to fit three patients with the OpenSocket in one day! Each of the three patients was very unique in the geometry of their bodies and residual limbs. In some cases, the patients' residual limbs had taken on very unique shapes. These different cases pushed the boundaries of the OpenSocket, but by making some simple modifications with our OpenSocket repair kits, we we're able to get all three patients setup with good fits. One of the most exciting things about this day was that the 3 new OpenSocket users began training each other on how to best use the device. Each time one would understand how to do something, he would turn to one of the other patients to explain what he had learned. This method of training resulted in faster learning and better engagement of the patients in learning how to use the OpenSocket. By the end of the day, all three patients were using the OpenSockets very well, and seemed very excited about learning more in the future. Working with the staff of Trauma Heroes Association was a fantastic experience. 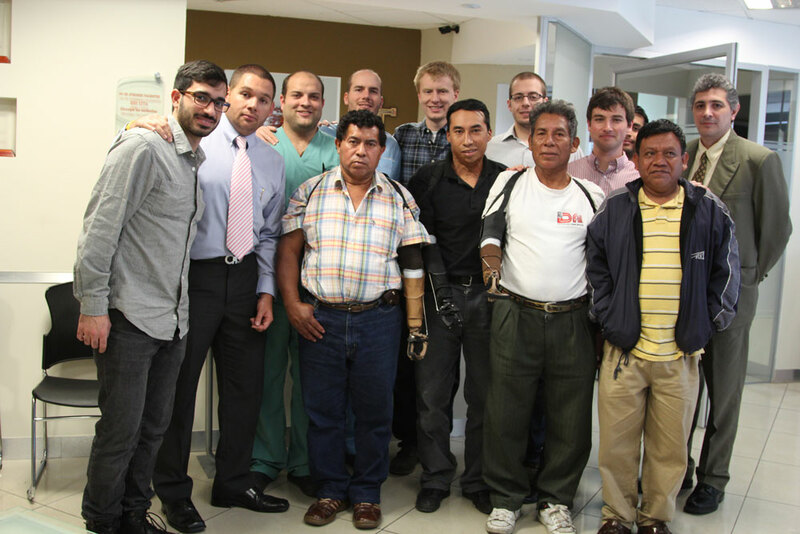 We very much enjoyed getting to provide these prostheses alongside the staff of such a young and vibrant organization. We're very excited to work with them more going forward! As a bonus for this busy day, when we got back to Jonathan's apartment, Dylan found out that he had been admitted to Northwestern University Prosthetic and Orthotic Program! Go Dylan! !